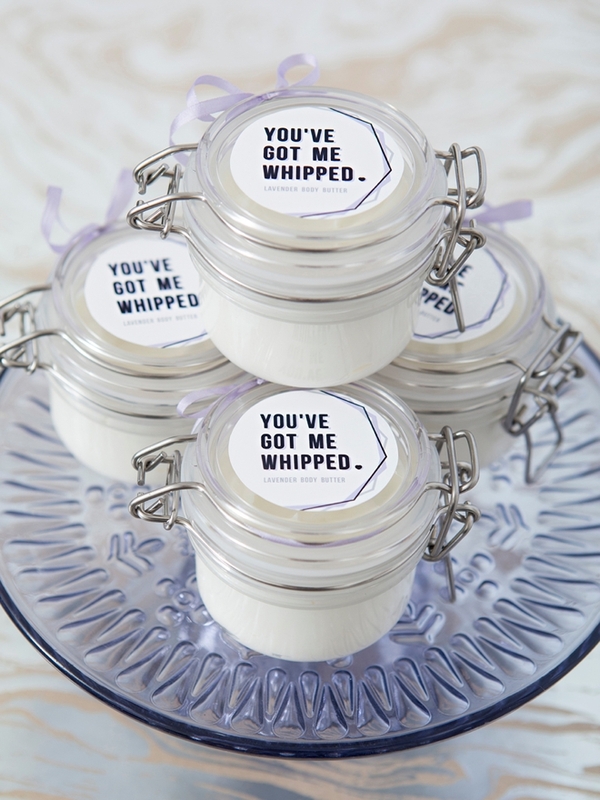 These DIY Whipped Body Butter Favors Are SUPER Easy To Make! 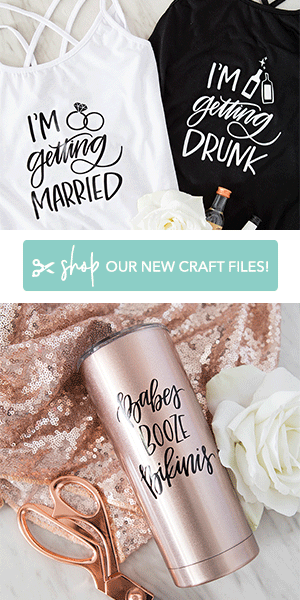 Looking for a luxurious bridal shower favor or bridesmaid gift? 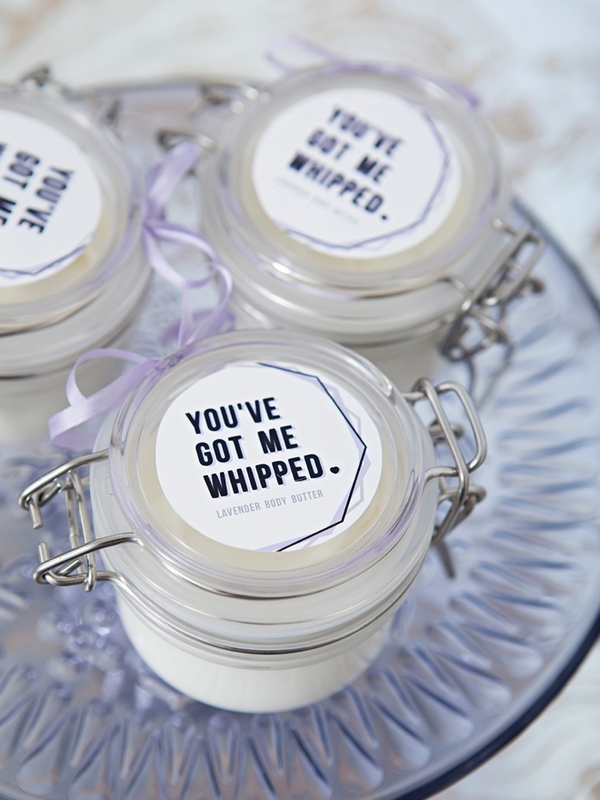 These handmade whipped lavender body butters are it! 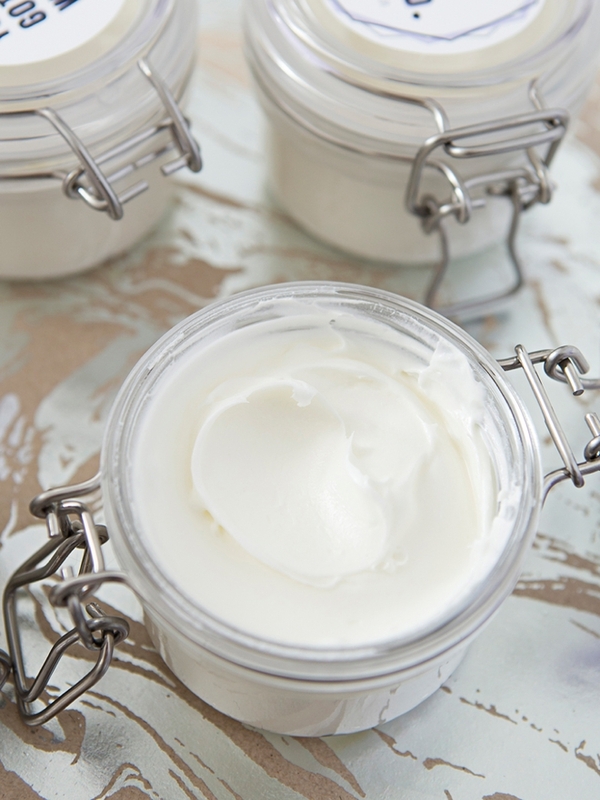 Here we’re sharing a SUPER easy step-by-step recipe on how you can whip your own body butter in under 15 minutes. Use our lavender combination or come up with your own using the recipe below. This lotion is so rich your friends won’t believe you made it yourself, they might even be coming back to you for more! 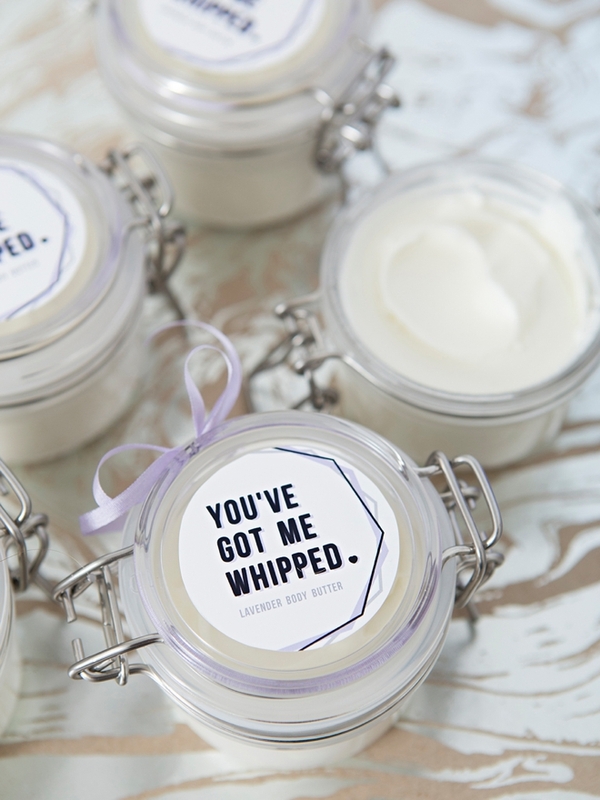 These deluxe little lotion gifts would make the perfect bridal shower favors! 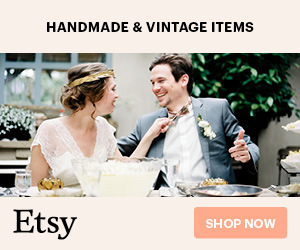 Giving your friends and family the gift of soft skin with a little extra handmade love is a great way to start your wedding celebration. 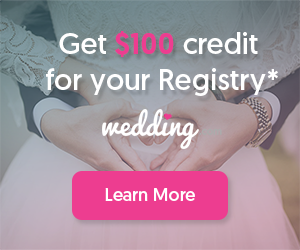 From your shower to theirs! 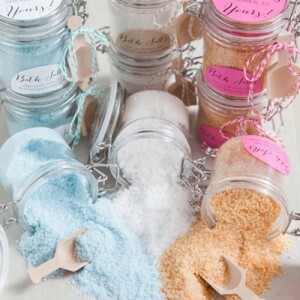 All beauty supplies are from BrambleBerry.com and this recipe specifically can be bought in a small kit that makes 6 jars, you can find it here! The same can be done using all “butters“: Mango Butter, Shea Butter, Avocado Butter, Coffee Butter, Turmeric Butter and Matcha Green Tea Butter! 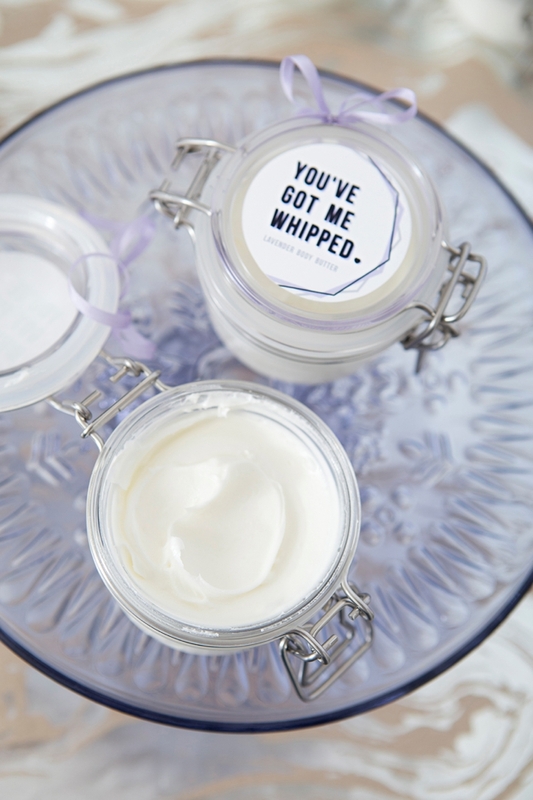 Simply pick a skin loving extract and essential oil for your own custom whipped butter combination! 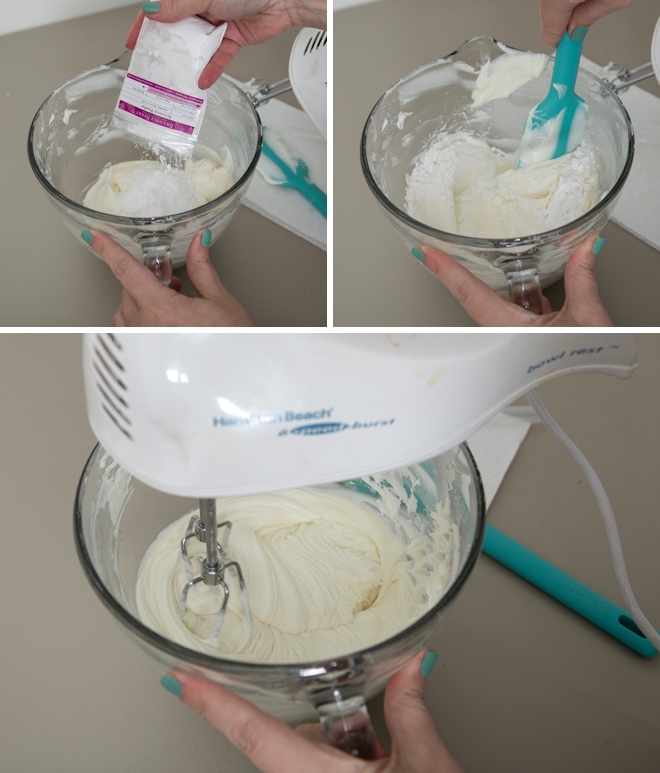 Put one pound of lavender butter into a glass mixing bowl and whip using a hand mixer. I picked this one up at a garage sale for $2 and now only use it for my beauty projects. Whip for about 30 seconds or until it’s completely smooth. I’m not sure if it’s baby brain or that I’ve given up sugar for 30 days but boy did I have a craving to lick these beaters!!! Yuck! Hahahaha, it looks so much like frosting! 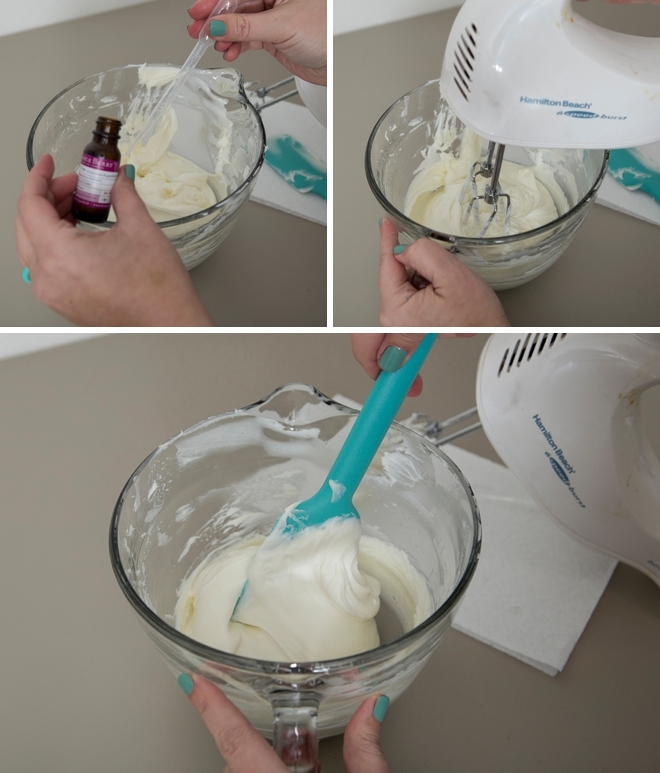 Add 1 ounce of Orchid Extract to the whipped butter and gently whip it into the mixture. Then using a spatula wipe the sides of the bowl down to incorporate. Orchid extract helps to draw moisture to the skin. 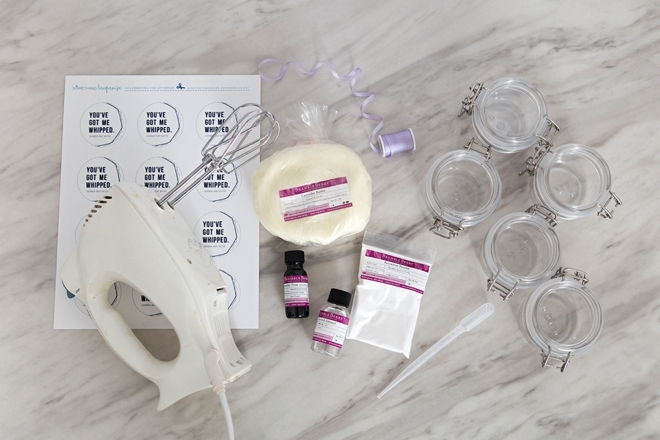 Add 6mL of Lavender Fine Essential Oil to the mixture using a dropper. 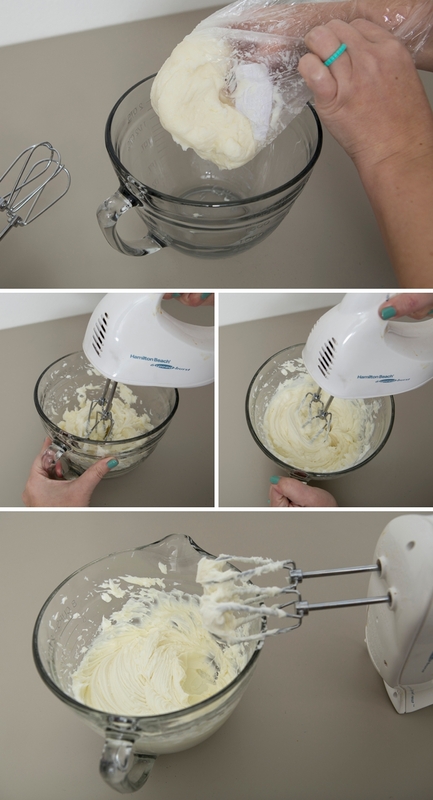 Gently whip it into the mixture then wipe the sides of the bowl down with the spatula again. Lavender essential oil is highly moisturizing. 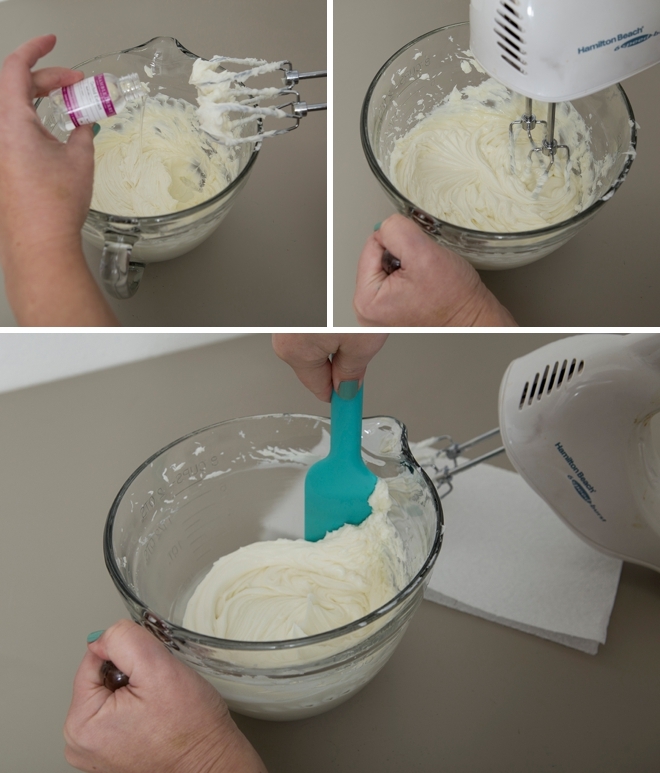 Add 1 ounce of Arrowroot Powder to the mixture and first fold into the butter with the spatula, then whip with the mixer for about 30 more seconds to finish the batch. Yes, that’s all there is to it! Arrowroot powder is added to lotions to prevent the feeling of “greasiness”. 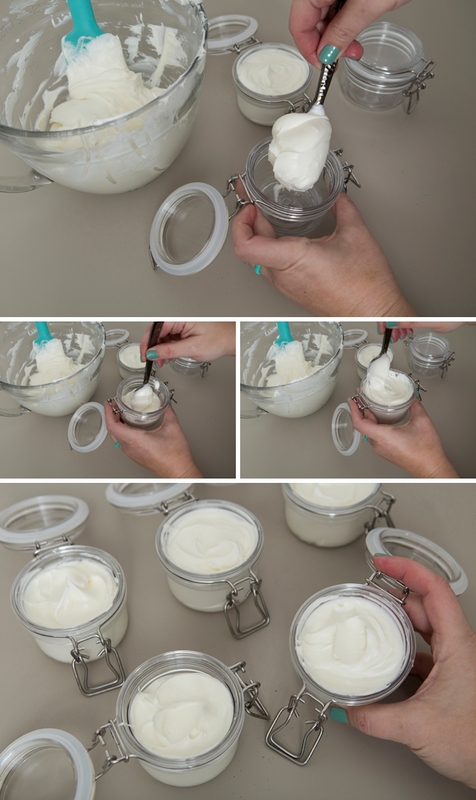 Using a spoon, transfer your whipped body butter to the bail jars. Finish the top with a little smoothing circular motion. 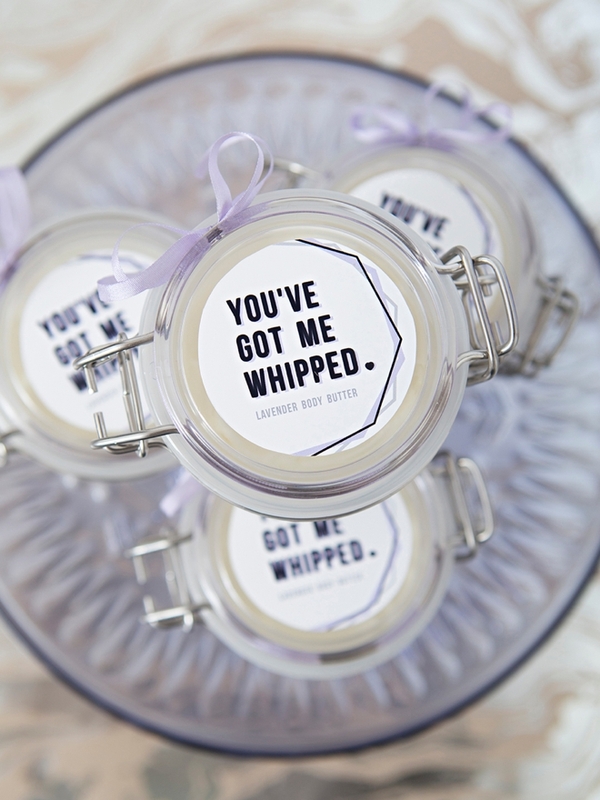 Print our free “You’ve Got Me Whipped” labels onto 8.5″ x 11″ sticker paper. 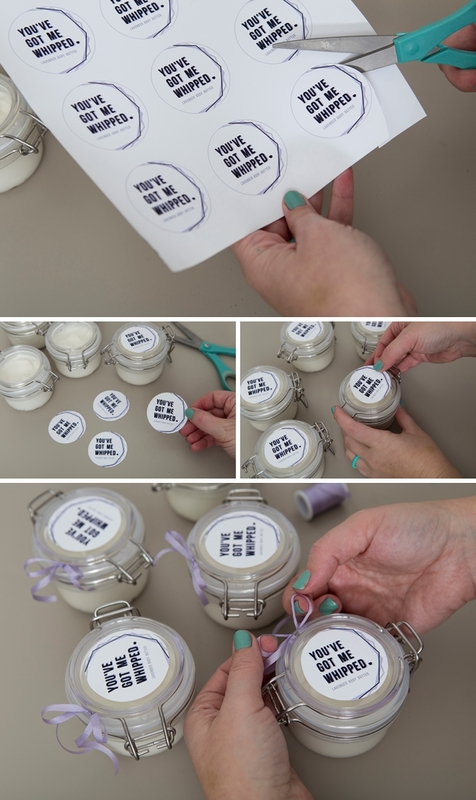 Then cut out each label, add to the tops of the jars, and finish with a bow! 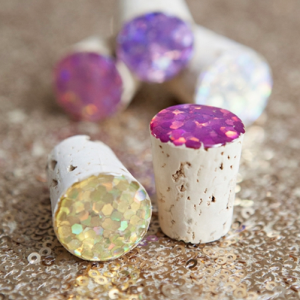 If you’ve never tried your hand at beauty “DIY” this would be the perfect project! It’s super easy and the result is so luxurious that even if you only made it for yourself, it would be such a treat. Although I’m sure your besties would love a special handmade gift like this!